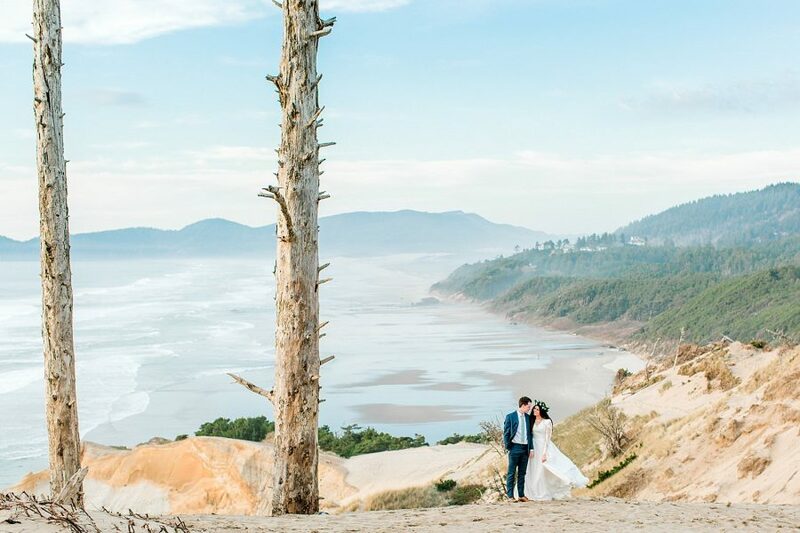 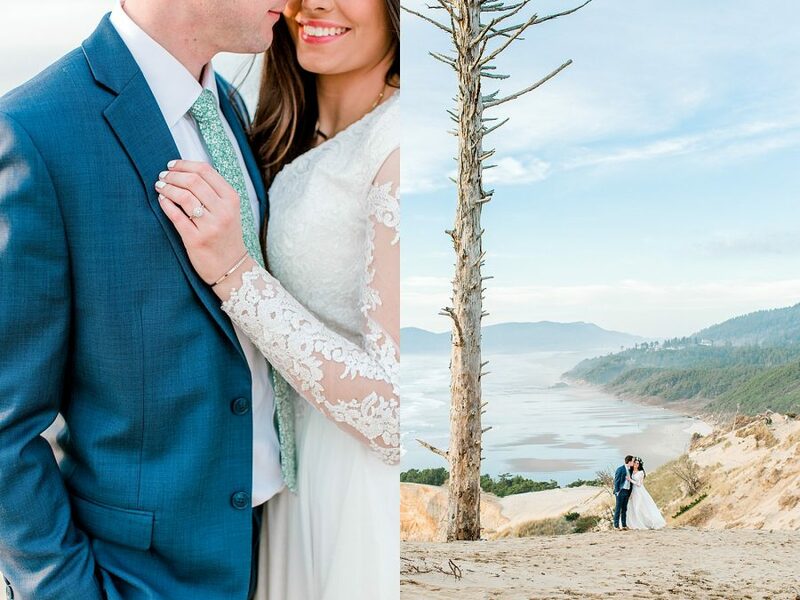 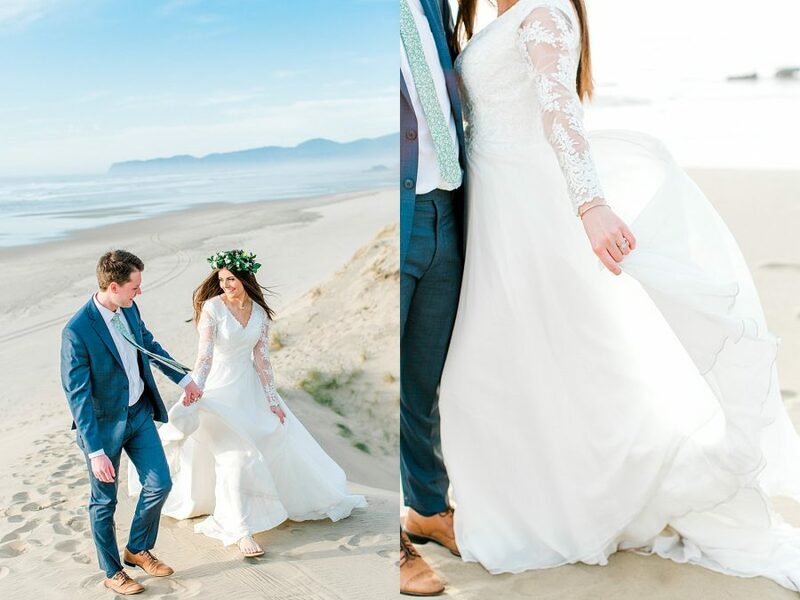 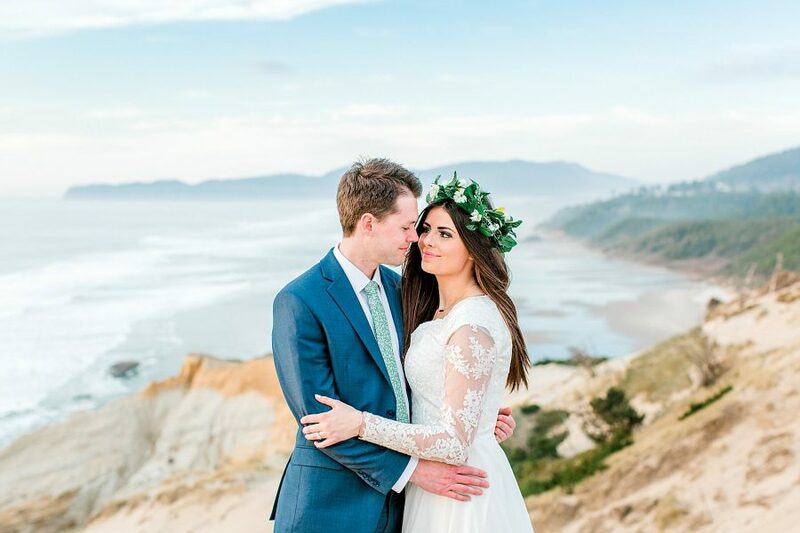 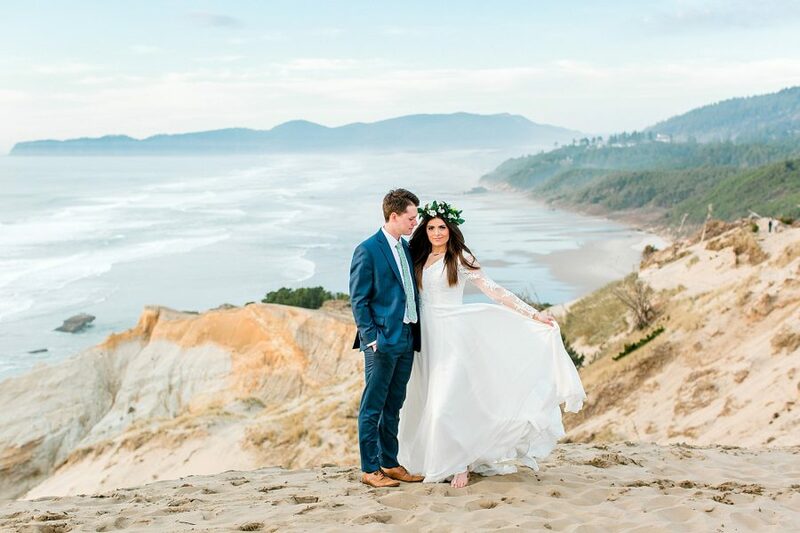 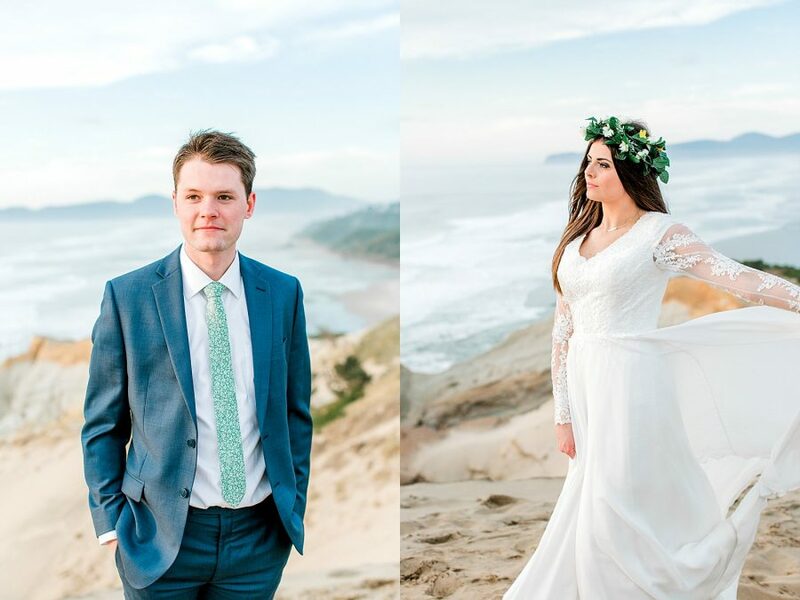 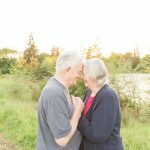 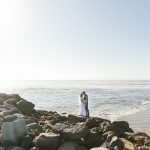 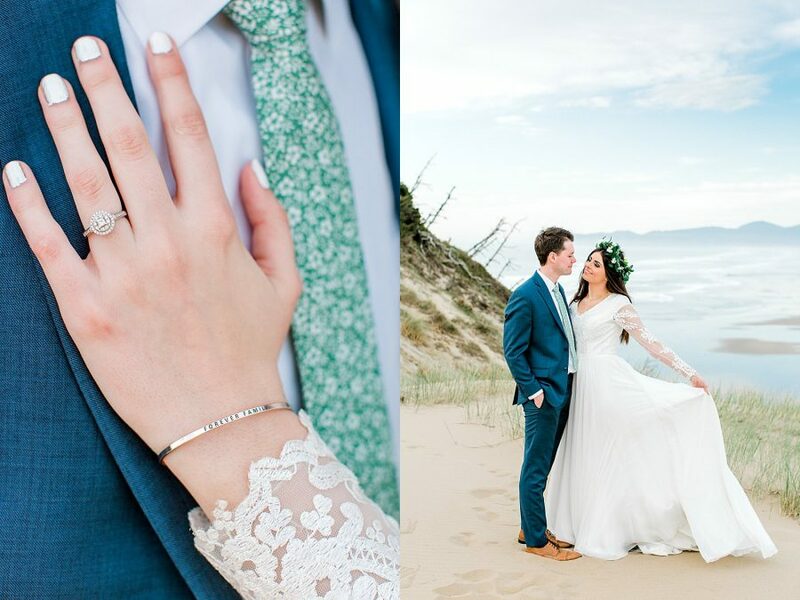 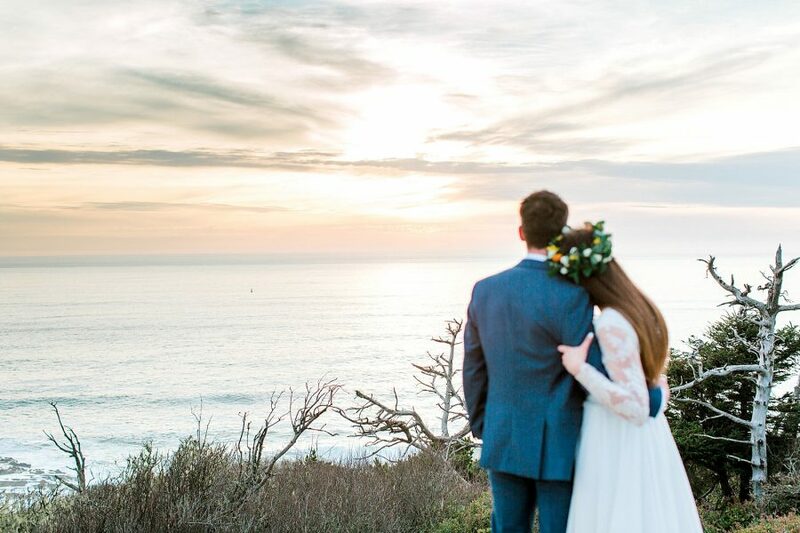 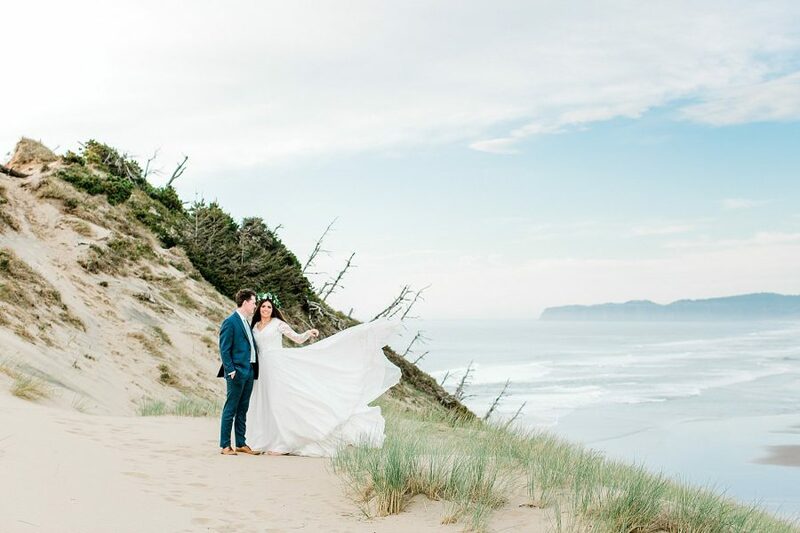 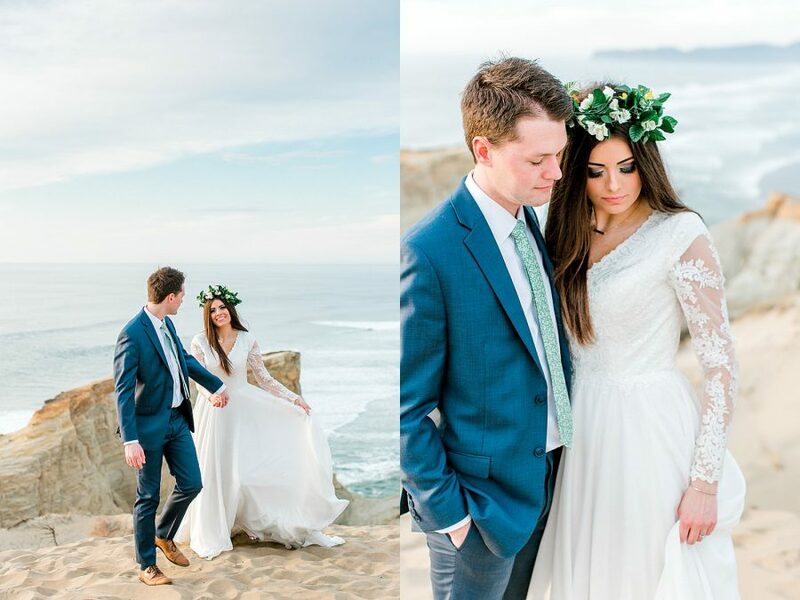 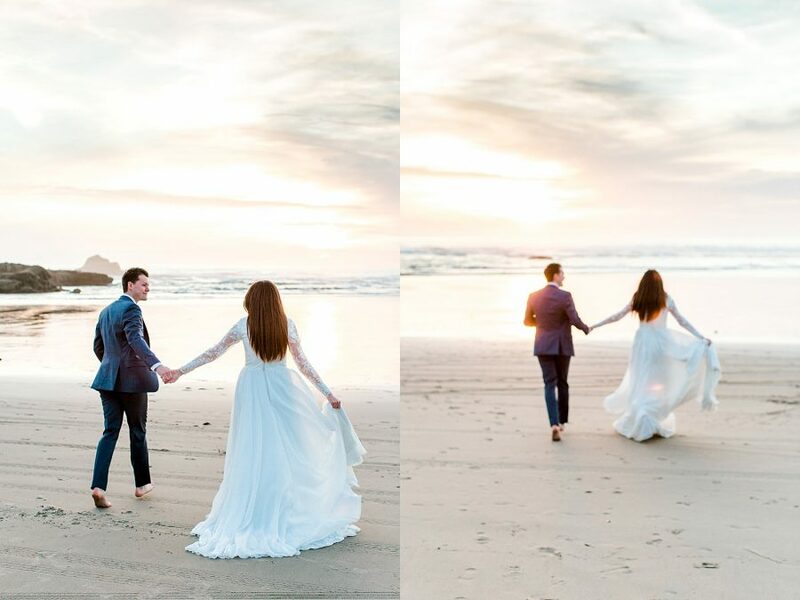 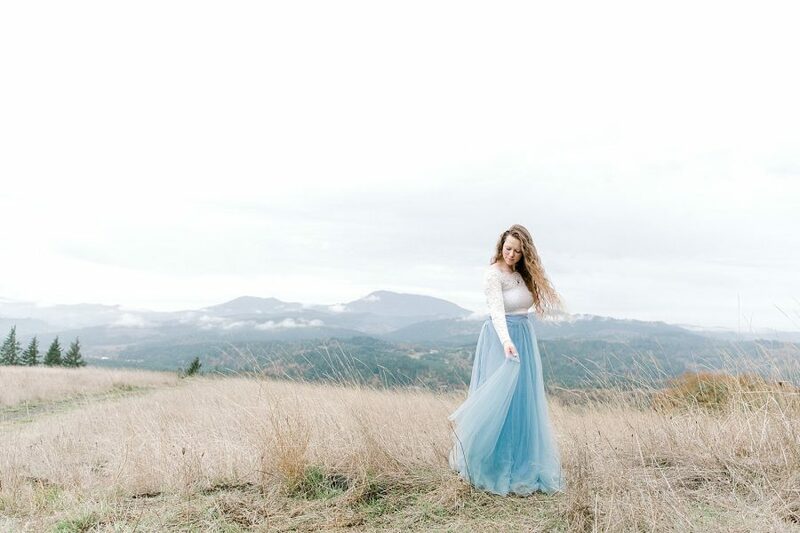 This anniversary session (with the couple in their original wedding clothes) at Cape Kiwanda on the Oregon coast was straight out of a DREAM. 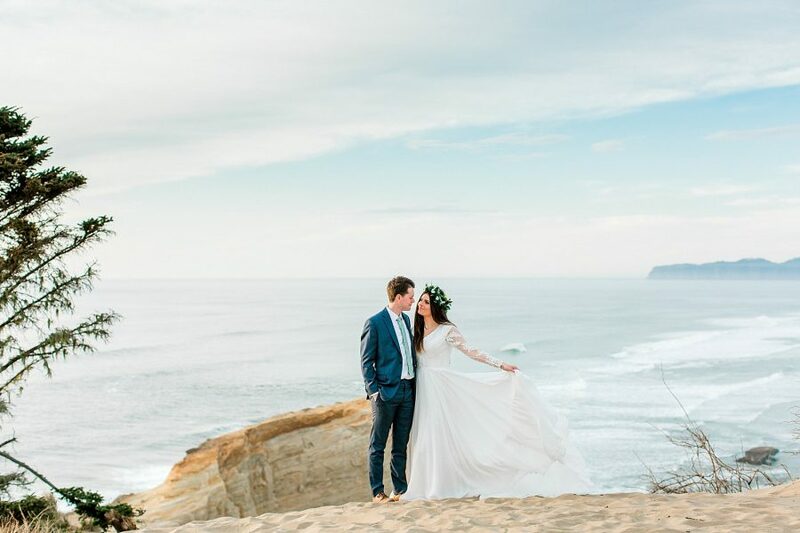 You never know what kind of weather you might get in March on the coast, but we definitely got lucky and hit a good day with Tyson + Maddy! 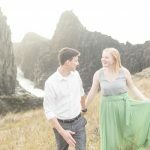 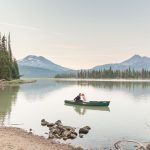 They live in Utah, but were on a road trip celebrating their first anniversary a few months early, and wanted to commemorate their time in Oregon with some photos. 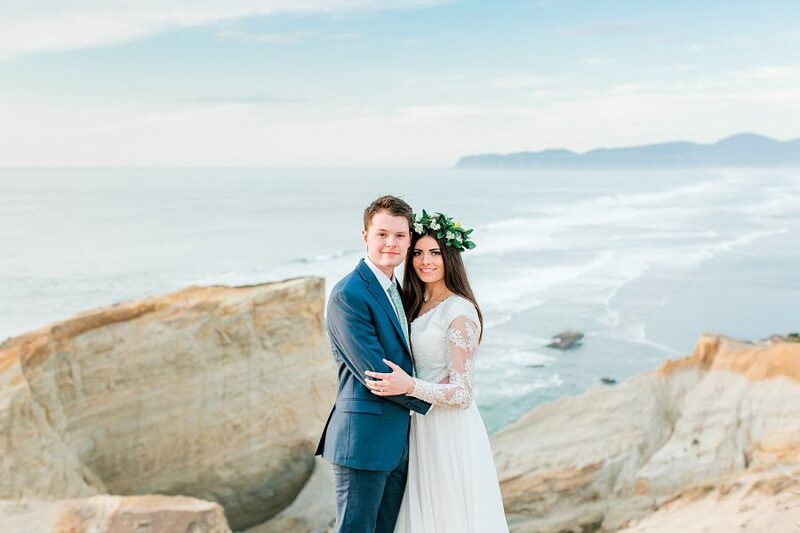 I’m so glad that Maddy reached out to me, and so (soooo) thankful that the weather held for us! 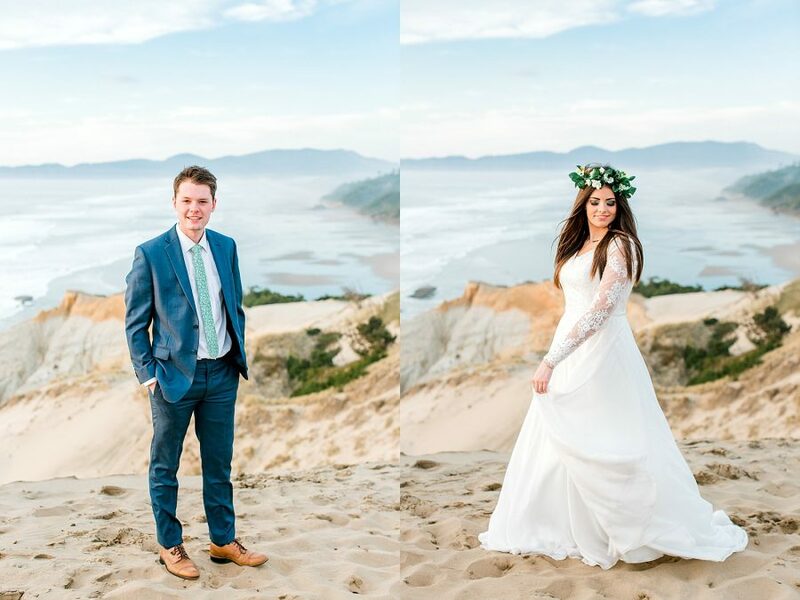 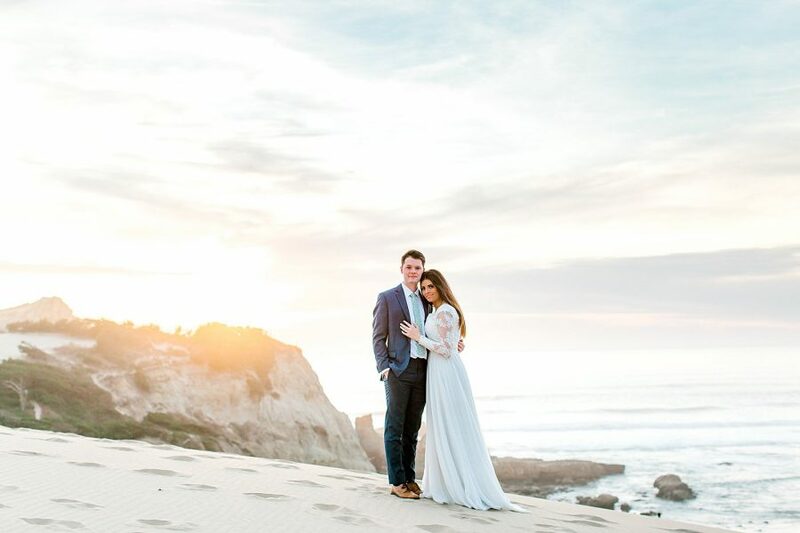 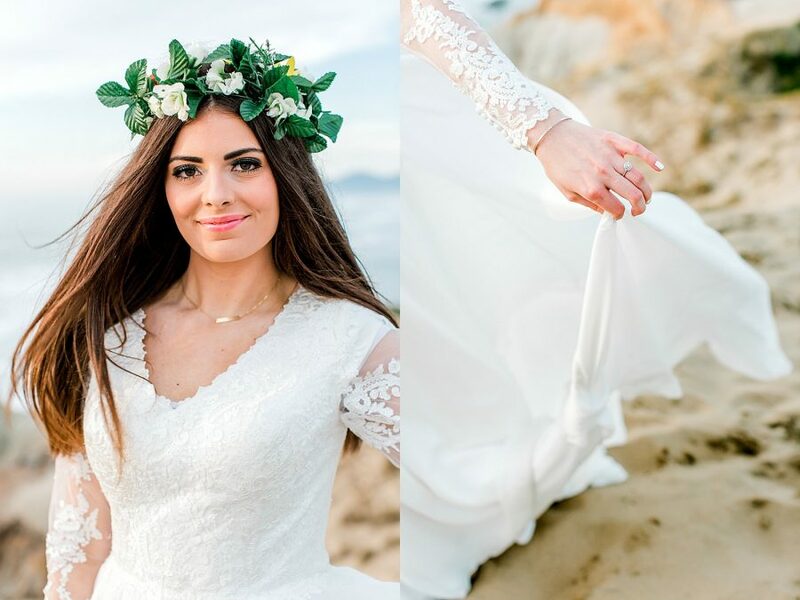 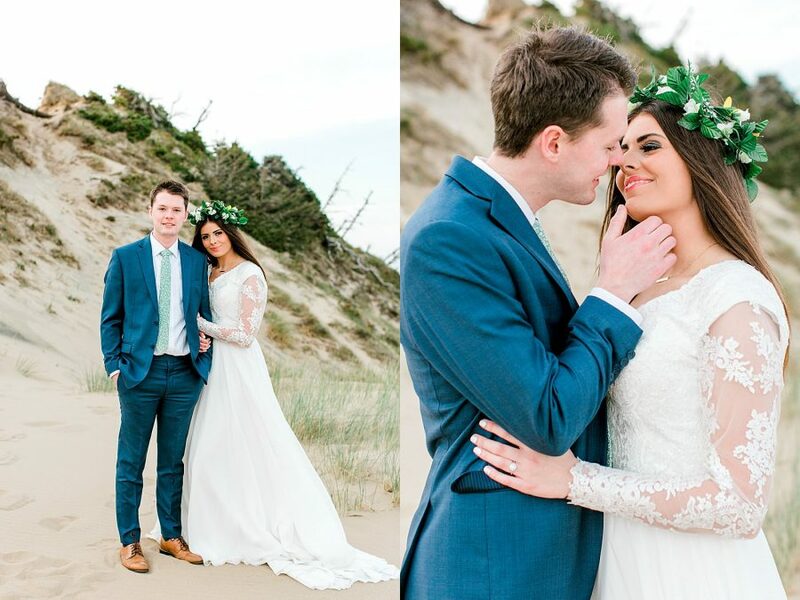 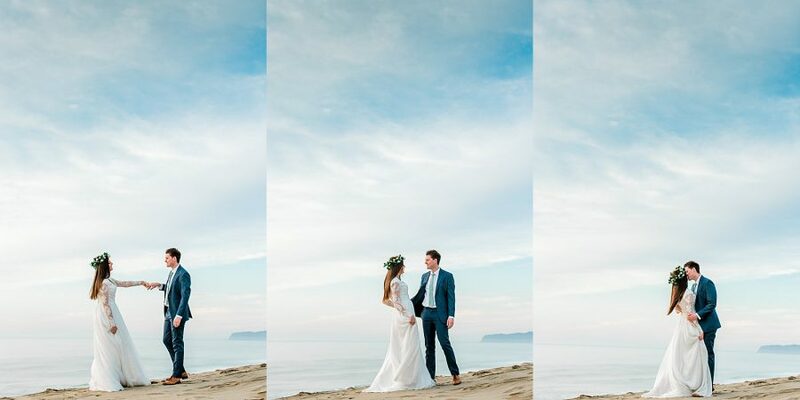 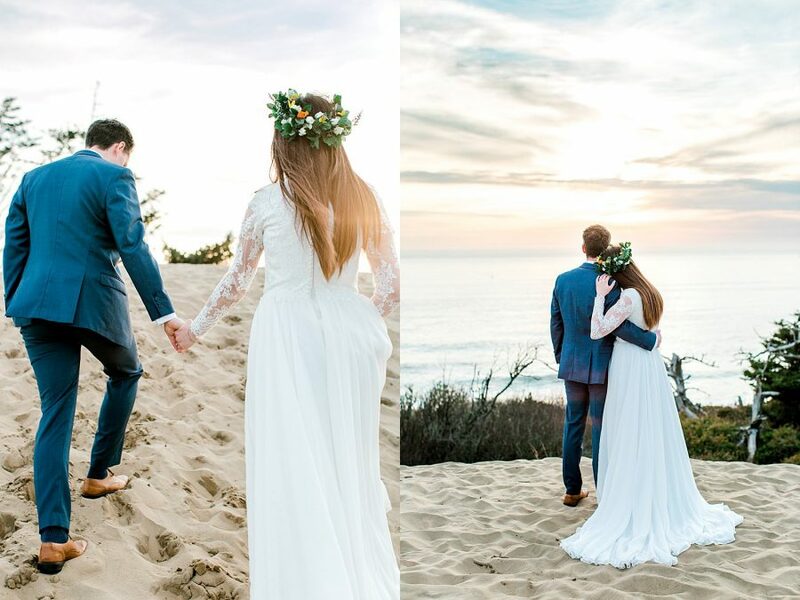 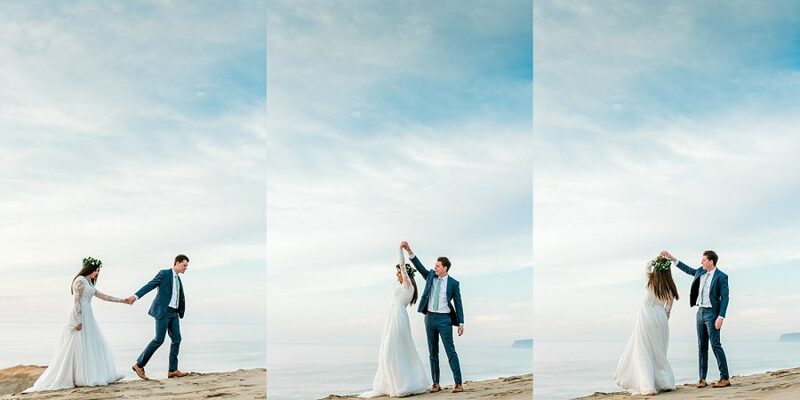 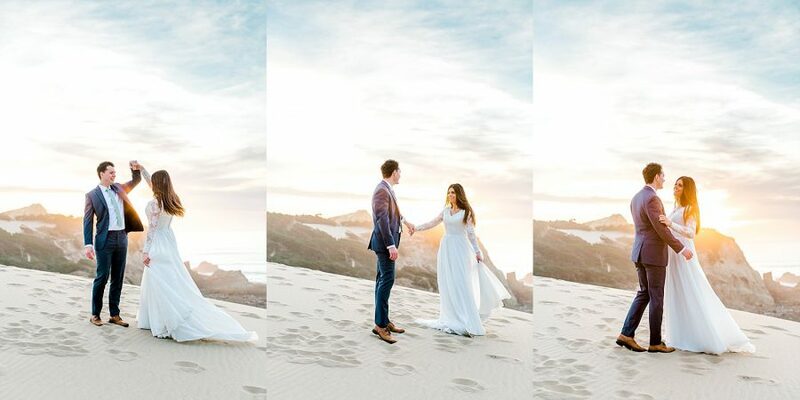 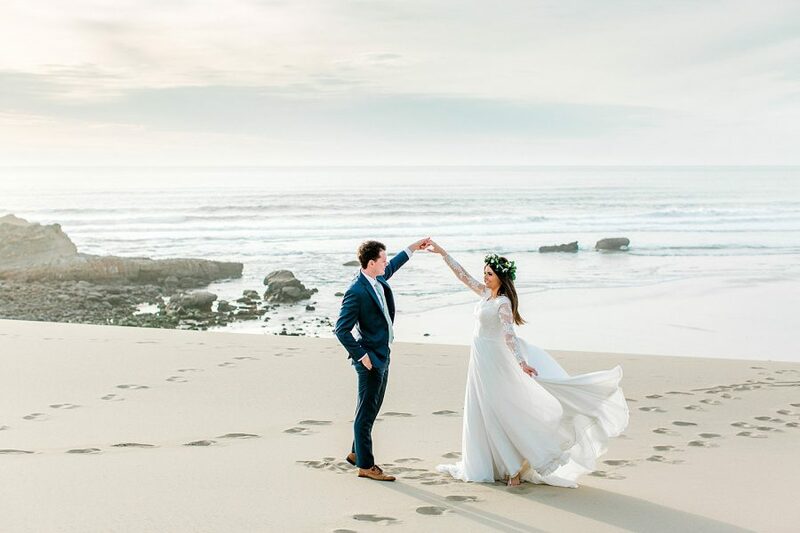 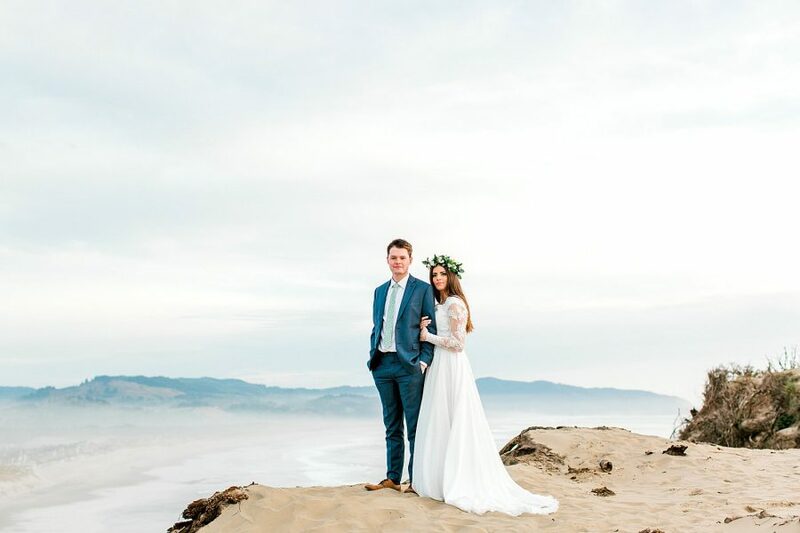 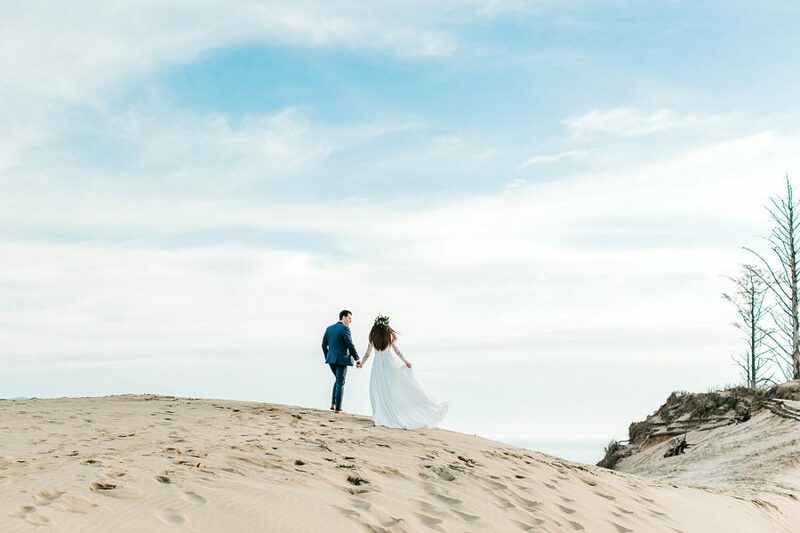 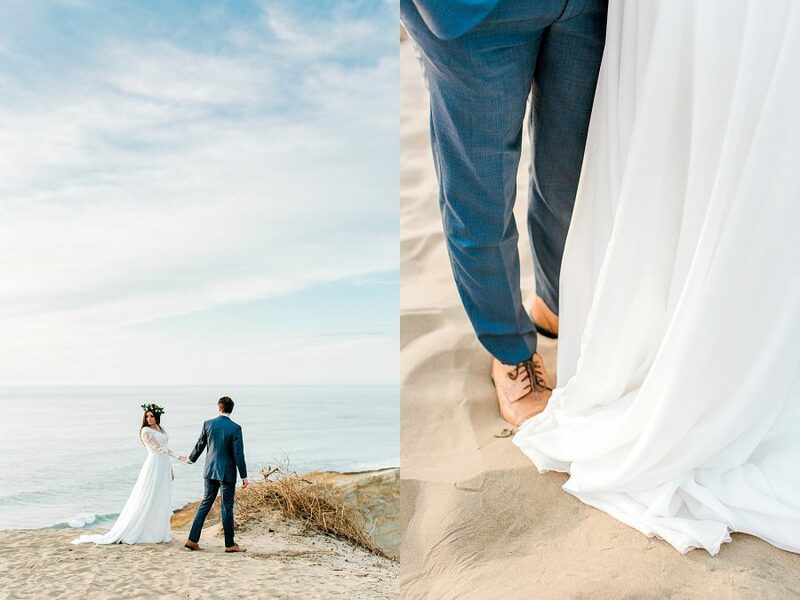 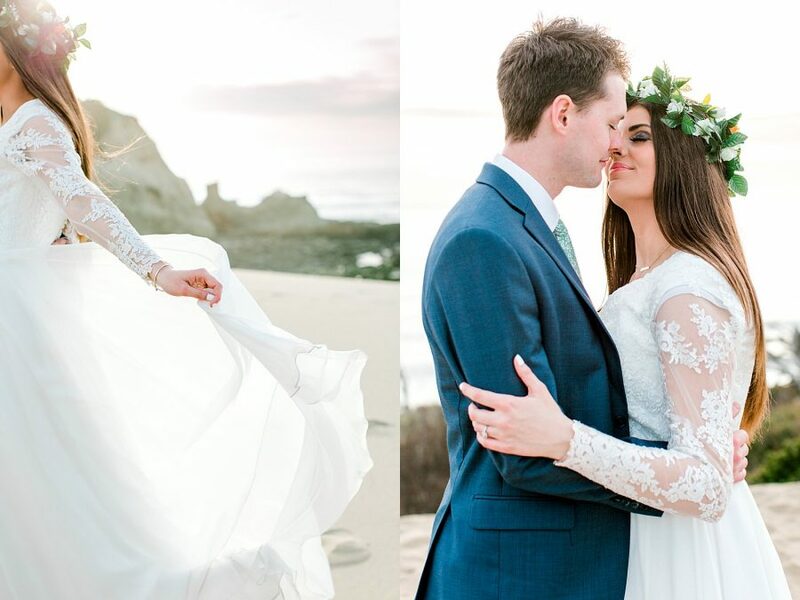 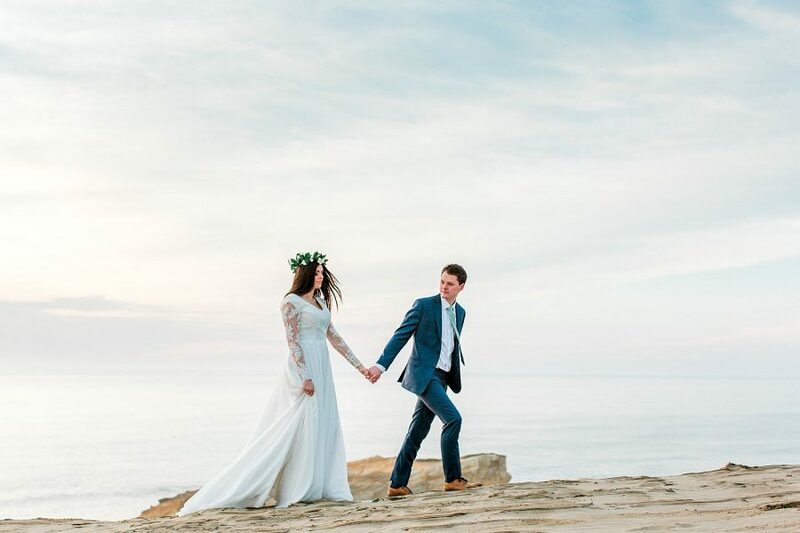 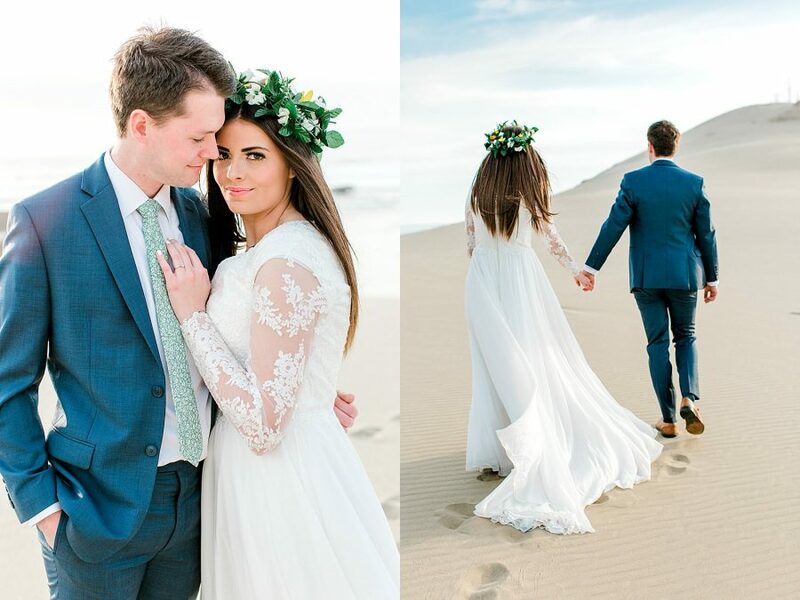 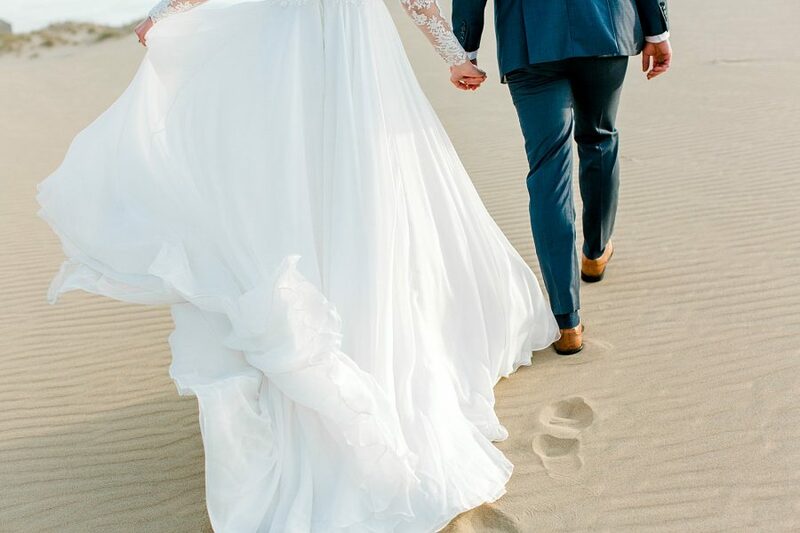 Tyson + Maddy, thanks for being troopers and climbing the dune, and Maddy, thanks for tossing that beautiful dress of yours five million times. 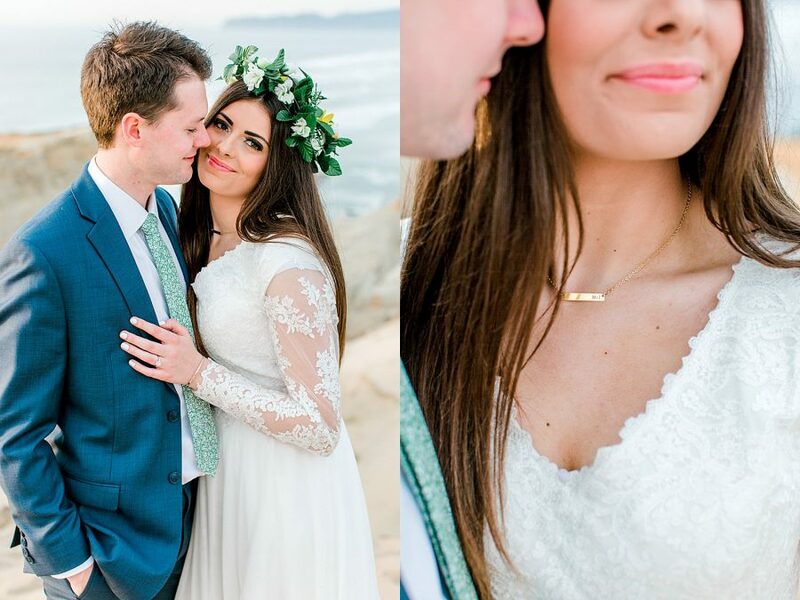 You guys are so sweet and I am so thankful our paths crossed!